(RxWiki News) How many potentially dangerous items are in your home? Our homes are full of useful things. Ingredients to cook with. Medications. Household cleaners. Styling products. Tools to fix our cars. 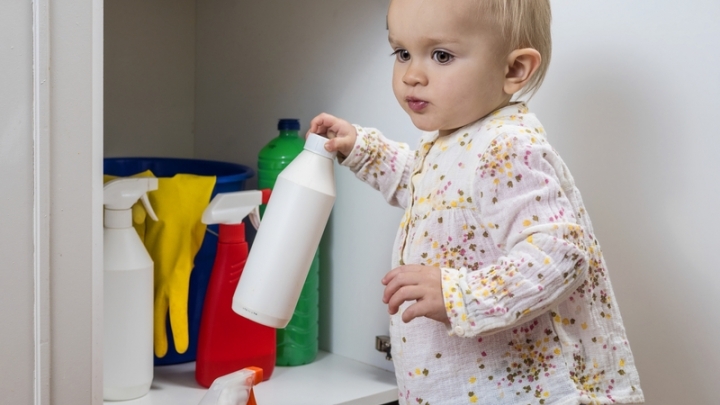 However useful they may be, these items can pose a risk of poisoning — especially for children. Medications and children. Medications can often be found in the bedroom or bathroom, and children can easily ingest them by accident. Some medications do not have child-resistant lids, which means kids may be able to get to them even if you think you have stored them properly. Also, medications can look like candy and be enticing to kids. Always remember to keep medication stored away from sight. Your pharmacist can help with your medication storage concerns. Medications and adults. The risk of accidentally taking too much medication is not just for children. When taken in large amounts, medications can cause serious problems. For example, acetaminophen (Tylenol) can be damaging to the liver. Adults who are taking Tylenol for cold symptoms can take too much without even knowing it. This is because several cough and cold products contain multiple ingredients, and acetaminophen is very common in these products. Cleaners and detergents. 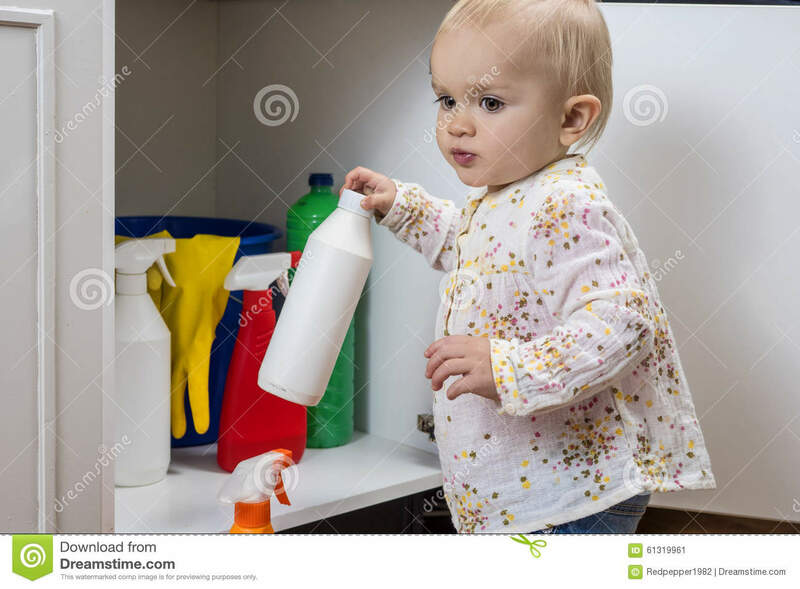 Kids can mistake cleaners that come in spray bottles for toys. These cleaners can cause irritation or burns if they get onto the skin or eyes. As for detergent pods, kids can easily mistake them for candy because they are often colorful. If swallowed, these pods can lead to death. Make sure the knobs on the spray cleaners are turned and locked to prevent use, and keep detergent pods out of reach of children. Products in the garage. Antifreeze, rust remover, pool chemicals and other heavy-duty products are very dangerous. Always keep these types of products in their original containers. When these products are moved to other containers, it can be hard to tell what they are. And if they are accidentally swallowed, they can cause serious harm or even death. Alcohol-containing items. These include hand sanitizer and rubbing alcohol, both of which can be easily ingested. Perfumes, mouthwashes and facial products may also contain alcohol. Even small amounts of alcohol can harm children. Alcohol can cause very low blood sugar, which can then lead to even more dangerous problems. That's why it is important to lock and keep alcoholic beverages, as well as alcohol-containing cosmetics and cleansers, away from children. Batteries. Small, round batteries can become stuck if swallowed. And they may burn the inner lining of the body. Watch to make sure that toys running on batteries have the batteries properly sealed off. For more information on the dangers of small batteries, read "The Dangers of Accidental Battery Ingestion." Educate your children. Remind them that medications are not candy. Try to get medications with child-proof lids and store them in a locked cabinet or out of reach. Keep unsafe products locked up or far away from sight. Supervise children with things like mouthwash or toys that include batteries or small parts. Always keep chemicals in their original containers and store them out of sight and out of reach. Contact Poison Control at 1-800-222-1222. You can also use the webPoisonControl online tool for guidance on what to do after accidental ingestion. Call 911 right away if the individual collapses, has a seizure, has trouble breathing or cannot be awakened.